SHANGHAI, CHINA, November 13, 2013– Creganna-Tactx Medical, a global Top 10 provider of medical device outsourcing solutions, today announced the opening of its first representative office in China. 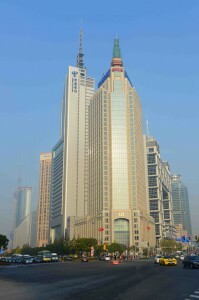 Creganna-Tactx Medical opens representative office in Shanghai, China. The new office is being established to enable the company build upon its existing presence in the market by forging deeper partnerships with its foreign and domestic customer base in China. The Chinese medical device market continues to grow at 20% per annum and this latest addition to the company’s global network reflects the continued commercial opportunity within the region. Located in Shanghai, the office is locally staffed with industry experienced professionals who are expert in all facets of the domestic healthcare market. Along with providing enhanced commercial, technical and customer-service support to the company’s customers in China, the team will also assist customers to identify and develop leading products customized to local market requirements. Leading the new representative office is Jim (Quan) Shen, an experienced healthcare professional. Before joining Creganna-Tactx Medical, Jim worked at McKinsey & Company, Shanghai where he advised international life science companies on market entry and product launch strategies for China. Jim previously held various commercial positions with GE Healthcare & Covidien, China and completed his radiology residency training at Zhongshan Hospital, Shanghai. Jim holds a Master’s degree of clinical medicine from the Medical School of Fudan University, Shanghai, China and an MBA degree from Tuck School of Business at Dartmouth, NH, USA. The company selected Shanghai as its preferred location for its first representative office as it is home to a large cluster of existing customers and favored among leading medical device companies. These include global medical technology brands Medtronic, Boston Scientific, Covidien and Microport, a key domestic player.